Under Armour® performance, with all the extras. 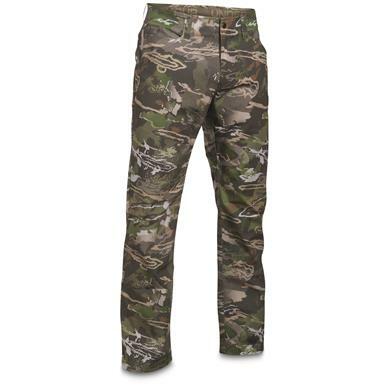 Covert Camo Hunting Pants take your hunt by storm with UA Storm technology that keeps rain beading off while maintaining breathability, plus tons of other smart features. The 7-oz. polyester ripstop fabric is lightweight but tough enough to put up with anything in the field, and features anti-odor technology to prevent the growth of odor-causing bacteria. 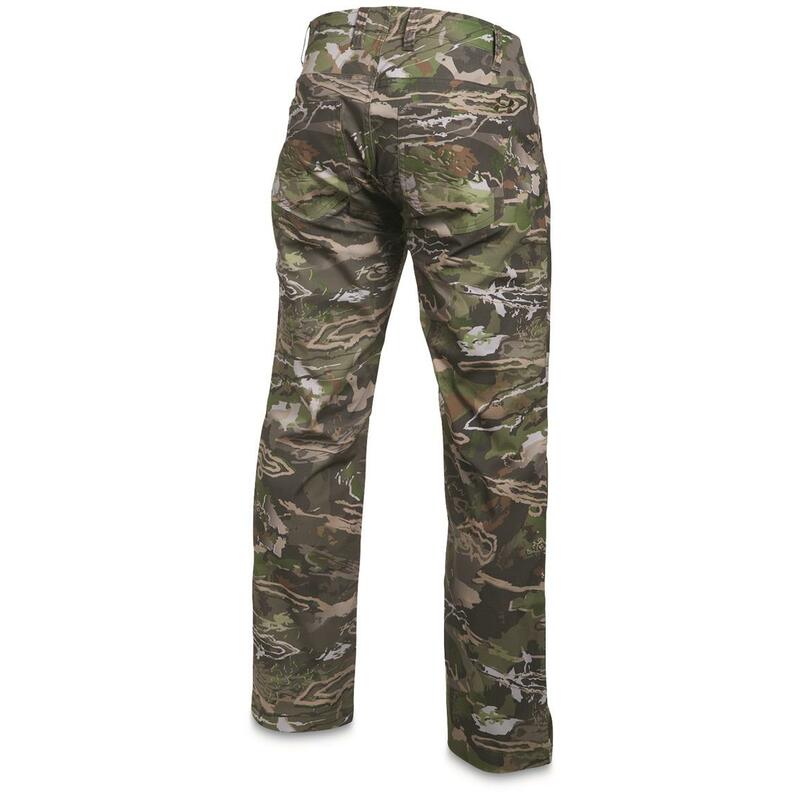 A stretch-engineered waistband delivers enhanced mobility that moves when you move and never holds you back. Offset belt loops allow for proper holster placement, and a low-profile cargo pocket keeps gear on-hand.